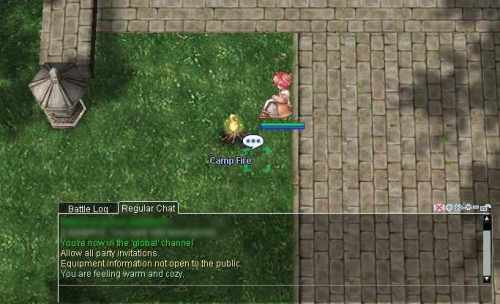 Camp Fire to restore / regenerate HP & SP. When you sit by the Camp fire, you start feeling the warmth and the comfort, so your HP & SP begin to regenerate. 2. make a usable item_db with these bonus script. callfunc("func_UpdateCampFire", <range>, <duration>, <heal_rate>); // update the campfire duration/heal rate.